Mike finished very quickly in two weeks. I then flew to Detroit to pick him up and take him home with me. Mike currently resides as my house companion and heart dog. Although we have a lot of fun in agility, I never put a title on him. 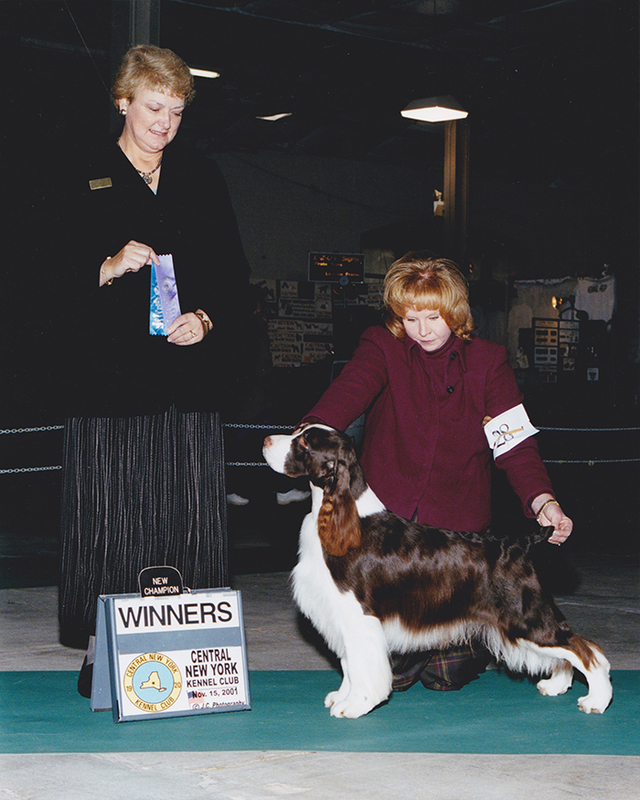 He has produced many specialty winning get and has influenced several other lines, including Cerise Springers.